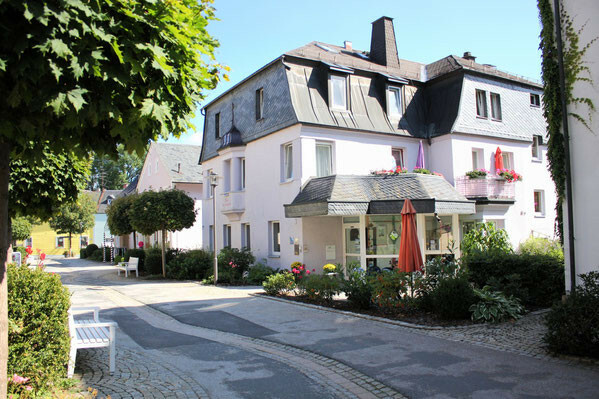 Our house: - hotel-garni-bad-stebens Webseite! ﻿The end of Wenzstraße, a pedestrian zone, is marked by a small pavillion, where the idyllic spa gardens begin. Not even 50m beforehand on the left side you will find the "Haus am Kurpark". You will enter our family-owned and operated hotel/boarding-house through our light-flooded winter garden. You will love it; a domicile with an intimate atmosphere…and three stars G***.